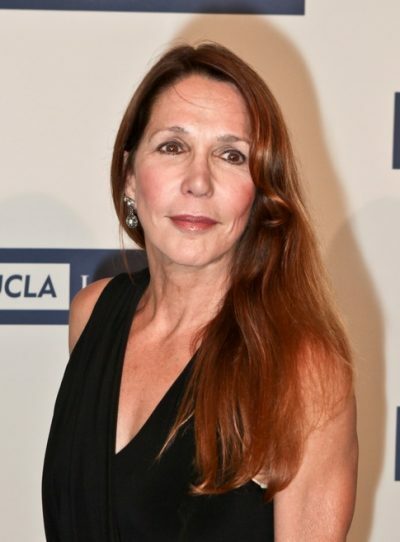 Patti Davis is an American actress and author. Patti is the daughter of Ronald Reagan, a politician and actor, who served as President of the United States, from January 20, 1981 to January 20, 1989, and of actress Nancy Reagan. Her parents co-starred in one film together, Hellcats of the Navy (1957), playing love interests. She is the sister of radio host and political analyst Ron Reagan, and the half-sister of political commentator Michael Reagan. Her father was of Irish, and Scottish and English ancestry, partly by way of Canada. Her mother was of English descent. Patti’s paternal grandfather was John Edward Reagan (the son of John Michael Reagan and Jane “Jennie” Cusick). Patti’s grandfather John was born in Illinois. Patti’s great-grandfather John was born in Peckham, Kent, England, to Irish parents, Michael Reagan/O’Regan and Catherine Mulcahey. He had roots in County Tipperary. Jane was born in Illinois, to Irish parents, Patrick Cusick and Sarah A. Higgins. Patti’s paternal grandmother was Nelle/Nell Clyde Wilson (the daughter of Thomas Wilson and Mary Ann Elsey). Nelle was born in Illinois. Thomas was born in Illinois, to a father from Paisley, Scotland, John Wilson, and to a mother, Jane Blue, who was born in Nova Scotia, to Scottish parents. Mary Ann was born in Epsom, Surrey, England, the daughter of Robert Elsey and Mary Baker. Patti’s maternal grandfather was Kenneth Seymour Robbins (the son of John Newell Robbins and Ann/Anne/Annie Ayers Francis). Kenneth was born in Massachusetts. John was the son of Edward Newton Robbins and Emma/Emily Barnes. Ann was the daughter of Frederick Augustus Francis and Jessie Ann/Anne Stevens. Patti’s maternal grandmother was Edith Luckett, an actress, born Edith Prescott Luckett, also known by her married name, Edith Luckett Davis (the daughter of Charles Edward Luckett and Sarah Frances Whitlock). Patti’s grandmother Edith was born in Washington, D.C. or Virginia. Patti’s maternal step-grandfather was Loyal Edward Davis, a neurosurgeon. Charles was the son of Thomas Luckett and Sarah Ann Taylor. Patti’s great-grandmother Sarah was the daughter of Edward F./H. Whitlock and Martha A. Wells. Follers, Michael Reagan is adopted Ronald and Nanacy. Ron and Patti are not his biological siblings. I know of all the Reagan family very well. Legally, they’re half-siblings (Michael is the adopted son of Ronald and Jane Wyman). So I left it at that. I think that’s more than a bit misleading, but whatever.